to all c2 fans, dont worry. nokia will keep its promise to ship it in Q4: the shipping will start on 31 Dec 2010 at 23:59 GMT. Amir, 01 Dec 2010Nokia announced Q4 this year till now no news anybody knows why? 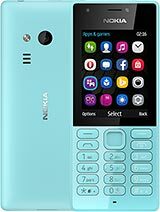 will the phone be able to re... moreNokia C-2 will launch on 25th December on (Christmas Day)Call Nokia Pakistan 042-1111 66542 (Nokia). Nokia announced Q4 this year till now no news anybody knows why? dirtyangel_16, 29 Nov 2010Hello! I just want to ask if C2-00 is already available here in the Philippines. Thanks a lot!Hi dirty angel_16! It's not yet available in the country! I visited NOKIA Store in Mall of Asia yesterday and according to them, Nokia Phil has no announcement yet about the item. Therefore we still need to hang around. I wish it will be released soon! Come on...it's already December. When will it be available? oh this is the mobile i am looking for.. when will be out in the market? dirtyangel_16, 29 Nov 2010Hello! I just want to ask if C2-00 is already available here in the Philippines. Thanks a lot!even I, is looking for this phone, I'm so angry at nokia for the delays! Hello! I just want to ask if C2-00 is already available here in the Philippines. Thanks a lot! Rajesh Kanna, 28 Nov 2010This mobile phone has a button to change the active sim card (look at the *[star] button close... moreThis phone has dual standby.... that means both networks would be available for use simuntaneously. This mobile phone has a button to change the active sim card (look at the *[star] button closely), So it will not support dual standby. Can anyone identified before? 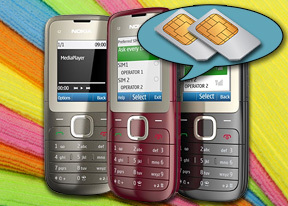 This mobile phone has a button to change the active sim card (look at the '*' button closely), So it will not support dual standby. Can anyone identified before?